THE BAY The Series Press: MICHAEL FAIRMAN ON AIR | ON SOAPS: THE BAY Adds Ronn Moss, Sean Kanan, Judi Evans, Patrika Darbo To Their Cast! 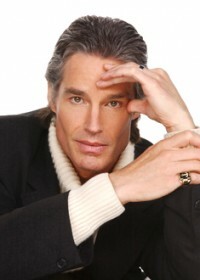 MICHAEL FAIRMAN ON AIR | ON SOAPS: THE BAY Adds Ronn Moss, Sean Kanan, Judi Evans, Patrika Darbo To Their Cast! Last evening, On-Air On-Soaps spoke with The Bay executive producer Gregori Martin, who informed us of new casting changes and additions to upcoming episodes/chapters of his web series with some very familiar faces from daytime! Read the entire MICHAEL FAIRMAN article HERE.